Everyone knows how good Jaromir Jagr is. Five Art Ross Trophies, three Ted Lindsay Awards for most outstanding player voted by the NHLPA, and one Hart Memorial Trophy as league MVP help hammer that point home. We've all seen Jagr put up big points - 1755 NHL points to be exact - and as the all-time leading scorer for all European players you know that he is destined for the Hockey Hall of Fame whenever he decides to hang up his skates. Currently though, Jagr sits tied for 6th all-time in NHL scoring which is a bit of surprise due in large part to the fact that he's played through three NHL Lockouts and played in the KHL for three years. Given his time away from the NHL, it's not unreasonable to think that he would have been only the second player in NHL history to hit the 2000-point mark and sit only behind the great Wayne Gretzky in career points. 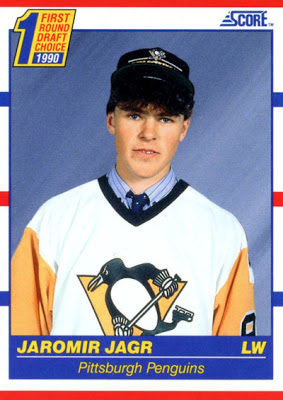 Jagr started his NHL career with the Penguins in 1990 and in those four years before the NHL Lockout he put up 319 points. While his goal totals stayed constant, his playmaking took off and his numbers improved every year from 57 points as a rookie to 99 points in his fourth year. 319 points is a solid number of points to have at the age of 21. 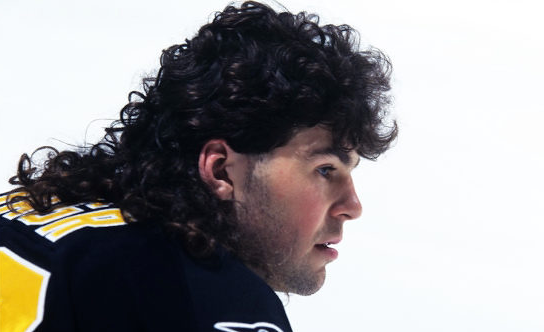 In the shortened 48-game season, Jagr tied Eric Lindros for the NHL scoring lead with 32 goals and 70 points. With a point-per-game average of 1.46, Jagr was on pace for 120 points in an 82-game season. Lets assume that Jagr missed out on 50 points from the 1994-95 NHL Lockout. 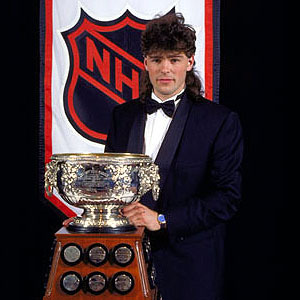 Between the 94-95 and 04-05 NHL Lockouts, Jagr put up 990 points and won the Art Ross Trophy five times including four straight seasons from 1997-98 to 2000-2001. In that time span, the next closest player in total scoring was Joe Sakic with 838 points, a whole 152 points behind Jaromir. Despite a rash of injuries beginning in 2000, Jagr still remained a point-per-game player and had some dominant performances. Heading into the 04-05 NHL Lockout at age 32 Jagr already amassed 1309 career points in 1027 games played. It's tough to judge what Jagr would have notched during this season because he was constantly injured in the previous three seasons and the most points he had put in those years was 79. Jagr did play consistently overseas during this Lockout putting up 67 points in 49 games between Kladno in the Czech Extraliga and Avangard Omsk in the Russian Superleague. 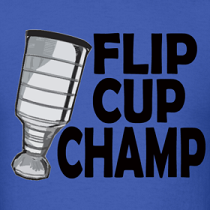 We'll give a safe estimate and say he would have been put up around 80 points had this NHL season played out. That's 130 points lost to NHL Lockouts now. Jagr returned from the NHL Lockout with the New York Rangers and put up the third highest scoring season of his career with 123 points. Jagr didn't miss a game in his three seasons following the lockout and while his point production declined in that span he still put up 290 points in three seasons to bring his career point total to 1599 at the age of 36. Becoming a free agent for the first time in his career, Jagr bolted for the newly formed Kontinental Hockey League in Russia by signing with Avangard Omsk. While he said he needed a break from the 82-game schedule of an NHL season, Jagr missing these three NHL seasons really killed his chances at hitting the 2000-point mark. Still a point-per-game player over in Russia with 146 points in 155 games played , let's say that Jagr posts an average of 60 points a season in the NHL those years. That's 180 points lost in Russia and 310 points total points lost due to lockouts and the KHL. After stating he would like to return to the NHL for the 2011-12 season, many hockey fans went into Jagr Watch Mode as rumours of where he would sign as a 39-year-old began to take off. Ultimately, Jagr signed in Philly and playing on the top line with Claude Giroux he posted 54 points in 73 games. 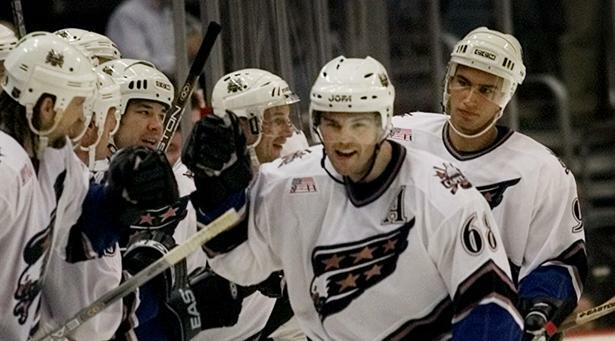 That season increased his career numbers to 665 goals and 1653 points and we wondered if we had seen the last of Jagr. We were wrong and both he and the Dallas Stars shocked us by agreeing to a one-year, $4.5M deal for the 2012-12 season which would see him turn 41-years-old in the middle of his contract. We didn't know if we'd ever get to see Jaromir Jagr in the NHL again due to his third NHL lockout, but he did keep busy playing overseas for his hometown team, HC Kladno, in the Czech Extraliga. Playing with fellow locked out NHLers Tomas Plekanec and Jiri Tlusty who he helped lure to the squad as part-owner of the team, Jagr put up an impressive 24 goals and 57 points in 34 games for third most points among NHLers playing overseas. Let's make the assumption that Jagr's point total in the Czech Republic wouldn't fully translate to the NHL and give him 20 points lost for the 34 NHL games cancelled in the 2013 shortened season. Now we're at 150 points lost to lockouts and 180 points lost in the KHL for 330 total points lost. Throw those point totals into his pre-NHL 13 season 1653 points before this season and you have him sitting at an estimated 1983 total NHL points. In his first game with the Dallas Stars, Jagr wowed hockey fans by putting up 2 goals and 2 assists. That pace didn't keep up, but Jagr still looked great and played with Jamie Benn to help rack up 26 points in 34 games before being dealt at the trade deadline to the Boston Bruins. With the Bruins he would pick up 9 points in 11 games for a total of 35 points on the season and a career total of 1688 points. Add in those estimated 330 points lost to Lockouts/KHL and he's sitting pretty at 2018 points and 2nd only to Wayne Gretzky in all-time NHL scoring. Jagr would sign with the New Jersey Devils during the offseason and in classic Jagr fashion put up 24 goals and 67 points at the age of 41. He looked impressive throughout the year and was the Devils MVP and leading scorer at the end of the season. Hell, he even finished 27th in league scoring ahead of big names like Jordan Eberle, Patrice Bergeron, and Eric Staal who all played full seasons. He passed his former teammate, Mario Lemieux, earlier in the season and currently sits tied with Steve Yzerman at 1755 points for 6th all-time. Toss in our 330 lost points prediction and he's at 2085 NHL points. Jagr will be back with the Devils next year and has said he wants to score more goals this year so who knows what the future holds for him. Sure this is all hypothetical and Jagr probably would have torn his groin and missed a year of action, but it sure would have been fun to see Jagr approach the 2000-point mark and pass greats like Gordie Howe and Mark Messier. Jagr will need 45 points to hit the 1800-point mark and in the process would pass Marcel Dionne's 1771 points and Ron Francis' 1798 points to slide into 4th all-time. We think he'll accomplish both those feats this upcoming season and the rate he's going we wouldn't be surprised if he plays another season in 2015-16. What do you think? Would Jaromir Jagr have hit the 2000-point mark? He would have came pretty close. This will be his last year I think. He looks done to me. I think he definitely would have been approaching Gordie Howe for #3 overall had he not gone to Russia.